I have been enjoying wearing Painted Sabotage polishes lately. If you haven't tried this brand, give it a shot - she's having a sale that I'll share at the end of the review. 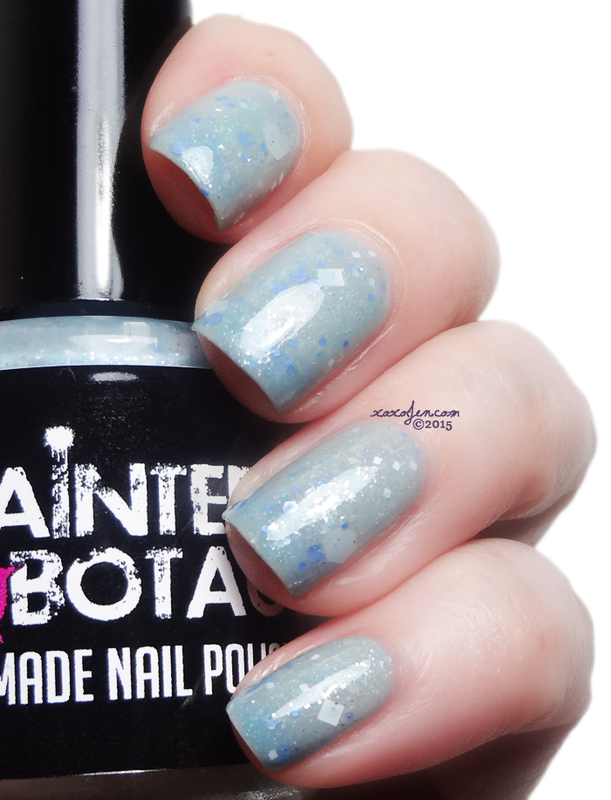 Ice Flowers is the perfect snowy winter polish. With it's collection of different size white and periwinkle blue glitters surrounded by a light wintery blue base with a hint of shimmer. I wore two coats with topcoat and it's such an interesting polish - it almost looks like the tips of my nails are more blue than the rest, the way a thermal might act but this isn't a thermal. Pretty cool illusion! 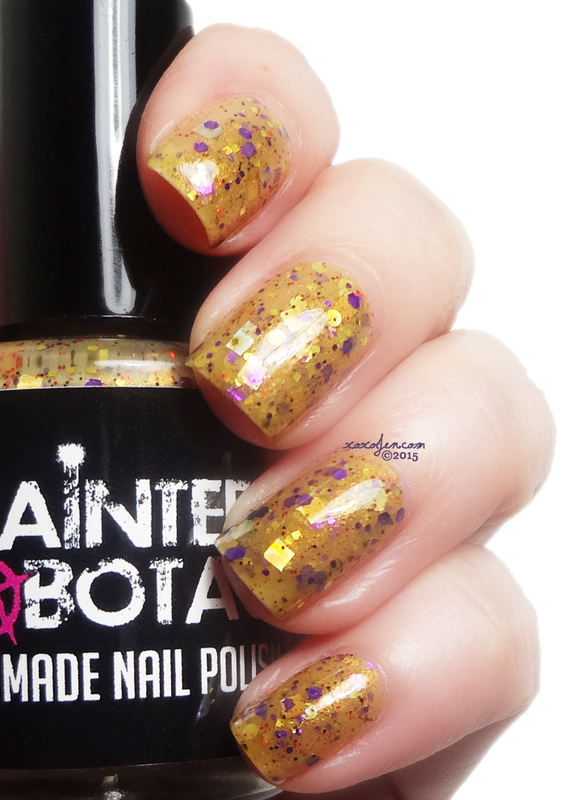 Storyteller is a neutral brown polish with different shades and sizes of light and dark brown and copper glitters. Wearing this polish was kind of luxurious feeling! Is it a silken scarf beaded by hand from a far off land, or perhaps a rich creamy latte with swirls of golden flake sugar? I loved it and didn't want to take it off. I think I wore it for about a week! 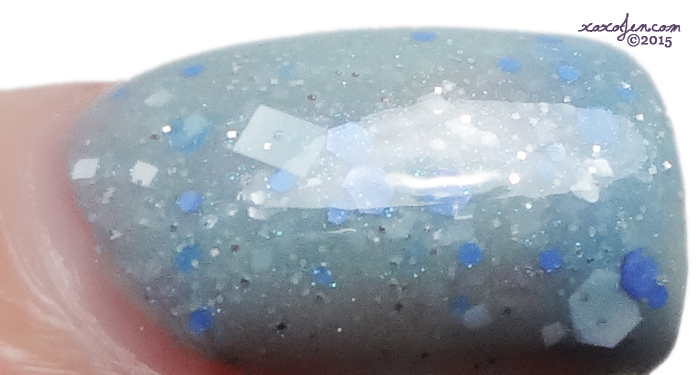 Two coats for opacity and a smooth creamy formula. 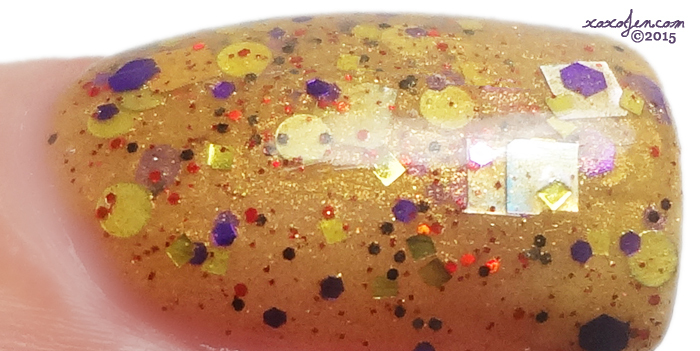 Zaphod's Ego is a dark gold base with a light shimmer with different sizes of dark purple, red and gold glitters, also gold holo squares and last but not least gold dots! Only the best for Zaphod! 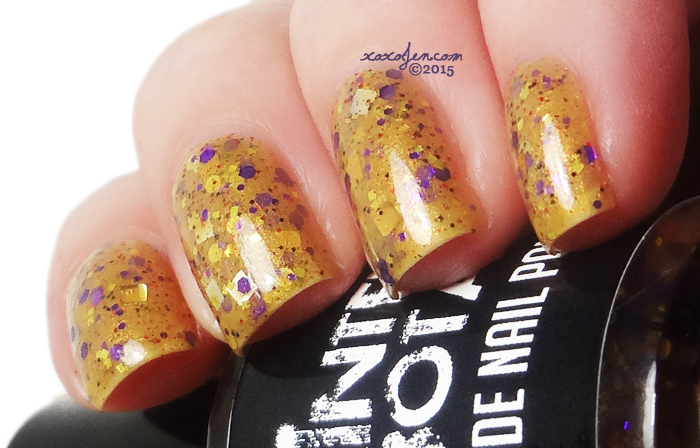 This polish may not look fancy at first glance, but check the macro shot. It is FULL of shimmer! It glistens and sparkles like crazy, it's just super difficult to photograph. I wore two coats but it could probably use one more coat to reach full opacity under bright lights. I'm sure it'd be gorgeous worn over a cream polish too. Love those purple glitters in it!